Ocean and Beach Resort Restaurant, South Caicos. 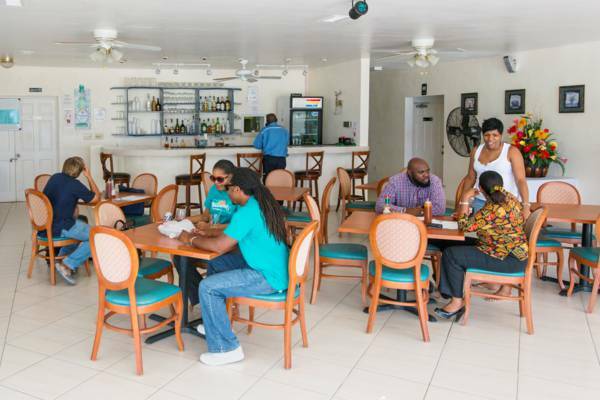 Found at the Ocean and Beach Resort, this small establishment is located near Cockburn Harbour and features spectacular views over the south coast of the island. Choose from indoor or poolside dining. The indoor dining at the Ocean and Beach Restaurant.